Oh Tiramisù, how much I love thee! I must admit I have had my share of terrific home-made tiramisù while growing up. Back then it was mostly the classic coffee flavoured version, and I have always thoroughly enjoyed it. Then the fruity versions started to appear, mostly made with peaches and strawberries. I like those too, but nothing has ever swayed me away from the classic flavour. Well, until now. I had a few left overs, including some coconut water and shredded coconut, mascarpone and savoiardi cookies… so I just had to give a Coconut Tiramisù a try, and guess what? It tasted awesome. 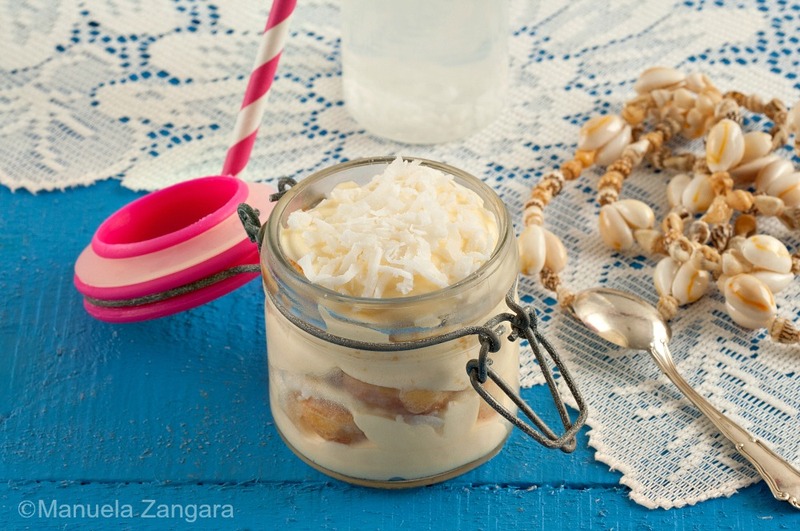 It was very delicate and not overly sweet, so you could taste the coconut in it and it was soft and comforting like the best tiramisù, but with a tropical twist! Try it and you won’t be disappointed. I served it in little individual jars, just to make it cuter, but a normal serving plate is fine too. Enjoy! 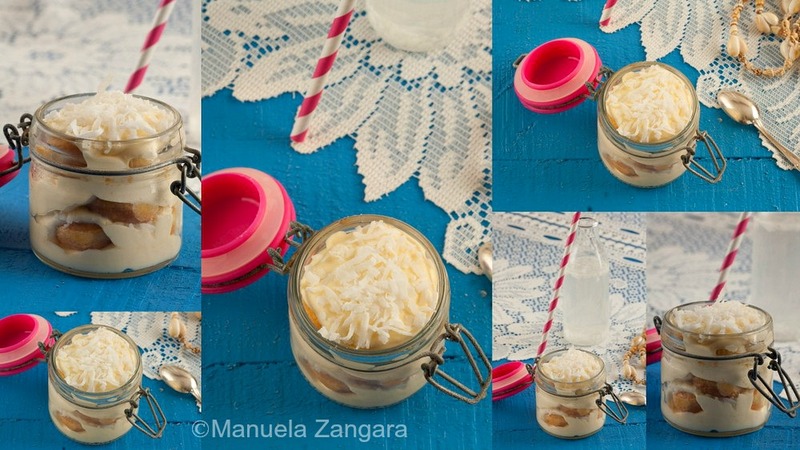 Coconut Tiramisù in a Jar - a delicious exotic version of an Italian classic dessert! 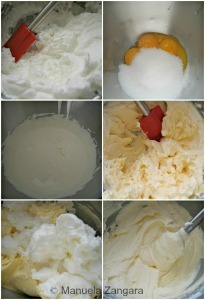 Whip the egg whites until firm. Beat the egg yolks with the 4 tablespoons of sugar with an electric hand mixer until they become white and fluffy. Add the mascarpone and quickly whisk to incorporate it. 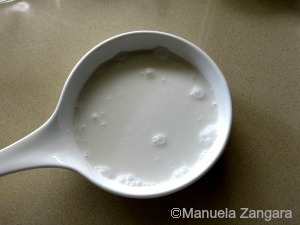 Gently incorporate the whipped egg whites to the mixture and keep it aside. Mix the coconut water, coconut cream and rum together. Dissolve the 4 tablespoons of icing sugar in the coconut mixture. Soak the savoiardi cookies in the coconut mixture and put them in the jars in a single layer. Top them with the mascarpone cream. Sprinkle with shredded coconut. Add a second layer of soaked cookies and cover them with the mascarpone cream and shredded coconut (make 2 layers). Let it rest in the fridge for at least 2 hours before serving. I usually make it the day before I want to serve it. This ensures that all the flavours develop. As this recipe contains raw eggs, make sure you use pasteurized or very fresh eggs. That is really creative! I always had the classic Tiramisu, be it with eggs or without, but never developed a taste for the one with fruits. 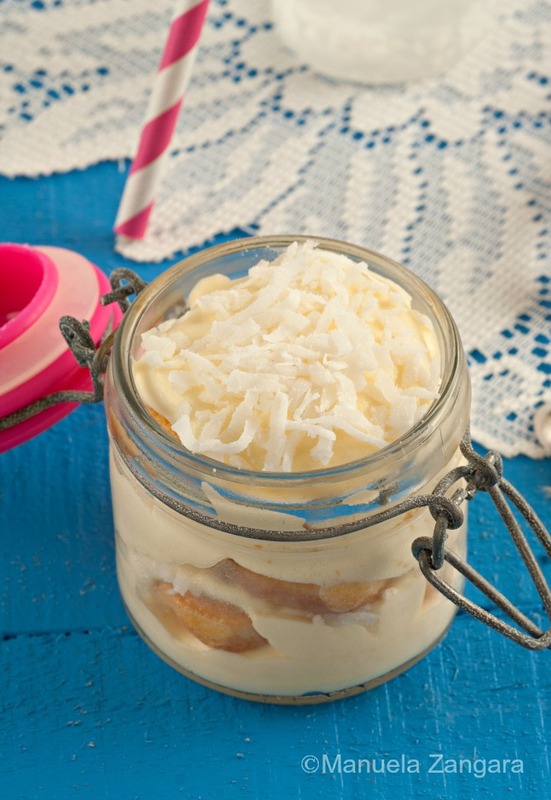 But I can imagine how amazing this Coconut Tiramisu would taste specially if chilled. Oh my! must be heavenly. Oh, this looks fantastic, Manu! 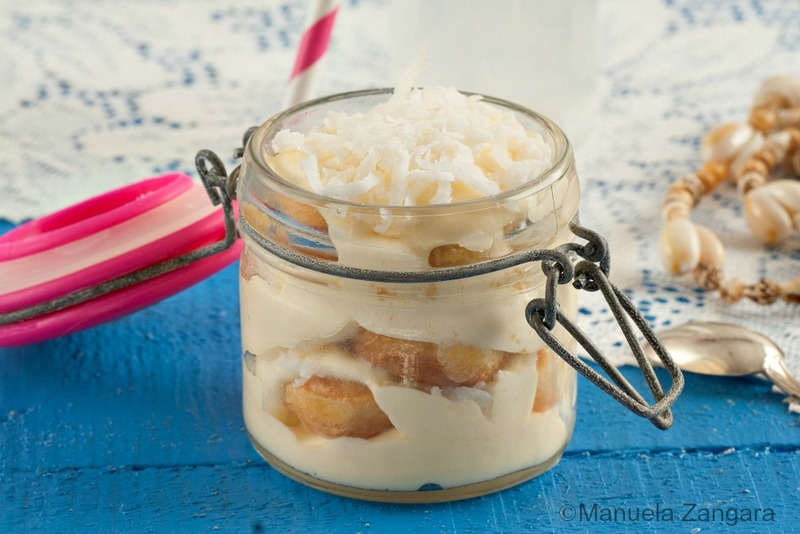 Such a lovely presentation…and I’m swooning over a coconut version. I need to track down your original tiramisu for my oldest. It’s one of his favorite desserts and I know your recipe will be top notch as well! Delicious! Love the presentation, a really good idea for the summer here 🙂 Is it still warm there? Una variante golosissima! …da provare per l’estate! bellissima presentazione! Manu, I am loving this fantabulous combination. I adore both coconut and tiramisu and the marriage of the two here. Oh tiramisu how I adore thee too… especially Manuela’s tasty version! We love coconut and I adore tiramisu. I am definitely going to try this recipe, I can’t wait it sounds so delicious. I just came from Nancy’s YBR, so glad you shared your recipe. I’ve pinned/shared.